Adding aesthetic value to a house is something that many people have embraced since it is a suitable way of giving a home a very presentable look. People with different tastes and preferences have always had their needs addressed to maximum satisfaction, bearing in mind that from the variety of souvenir toys, they are given the chance to make their choices. There are people who are lovers of cars and motorbikes, to an extent that they choose to buy interior decor items that can signify their presence around the house. This is where a person will buy a UK car souvenir toy, an item that is mostly placed on the shelves or cabinets. A UK car souvenir toy plays a big role in the house as per as interior decoration is concern. They not only add beauty in a house but also create a focal point. 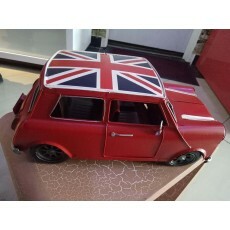 Getting a reliable shop in Kenya where you can buy a decorative UK car souvenir toy has been a challenge to many people but you can now count yourself lucky since Petcarl-Décor has a solution for you.